Full disclosure: I work here! It really is an incredible hotel and I stayed at the Orbit In as a guest years ago before living in Palm Springs. Its stunning aesthetic was part of what brought me out here permanently. 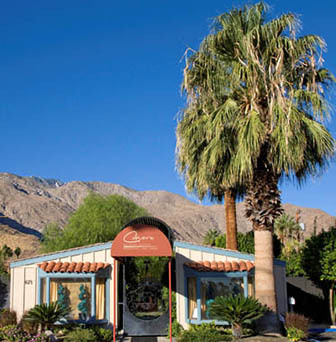 With its classic butterfly roof and tremendous mountain views, The Monkey Tree hotel is a great retro destination for large and small groups alike. 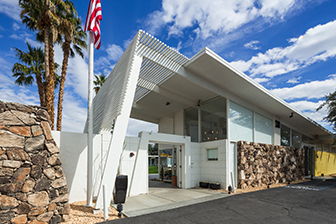 Built by Albert Frey in 1960, the rooms are uniquely decorated with mod décor. Guests can enjoy a delicious house-made continental breakfast while gazing at the luxurious courtyard and sparkling pool. Located in the historic Tennis Club area, this 1947 William F. Cody building has one of the most impressive exteriors around! Pet friendly and dripping with midcentury flare, the Del Marcos Hotel also does large groups and buyouts if you’re looking to book a special event. 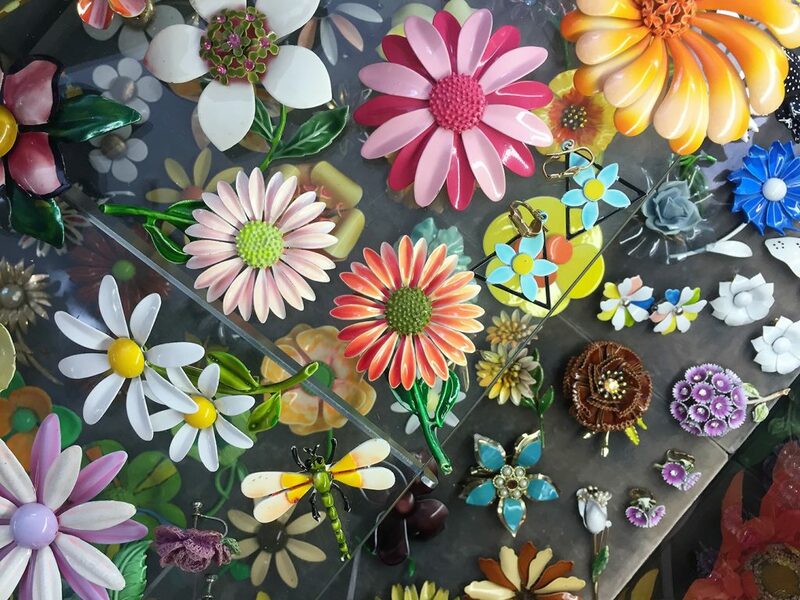 Tucked away on N. Palm Canyon drive, Dazzles offers vintage furniture, homewares, fixtures, and clothing. 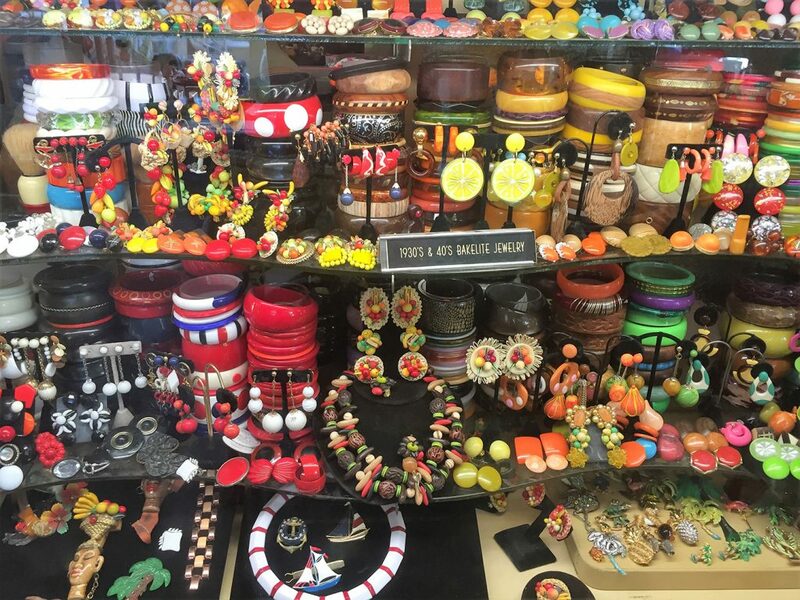 However, the incredible bakelite, chalkware, and jewelry sections upon entering may have you too entranced to see the rest of the store! The sincerely knowledgeable and friendly owners will help you find exactly you’re looking for (even if you don’t know what that is). While you’re in the area, you should also check out Iconic Atomic, a great vintage clothing and homeware store nearby (see how I snuck that in there?). 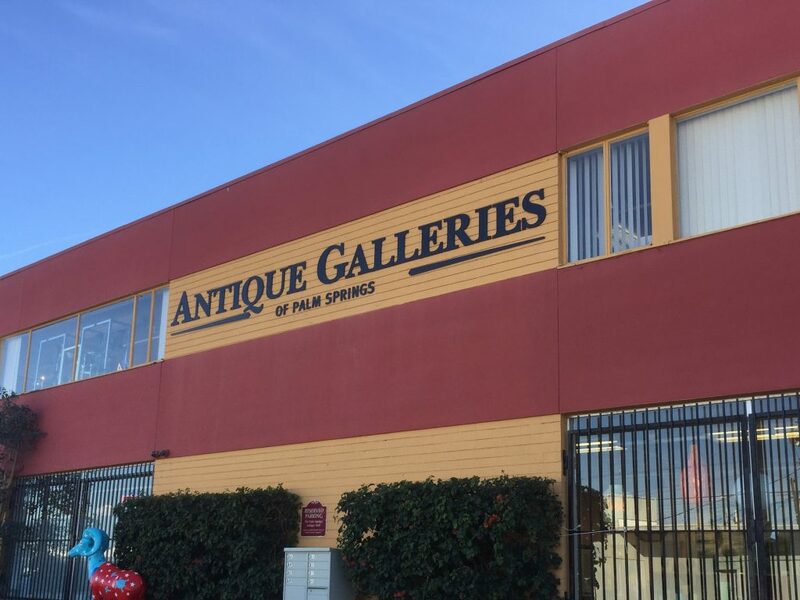 These two carefully curated antique malls are just steps away from each other, making them the perfect joint destination. Sections are separated by vendor and have vintage clothing, barware, furniture, plus everything in between. Unlike many other vintage shops in town only open on weekends, you can shop here 7 days a week. 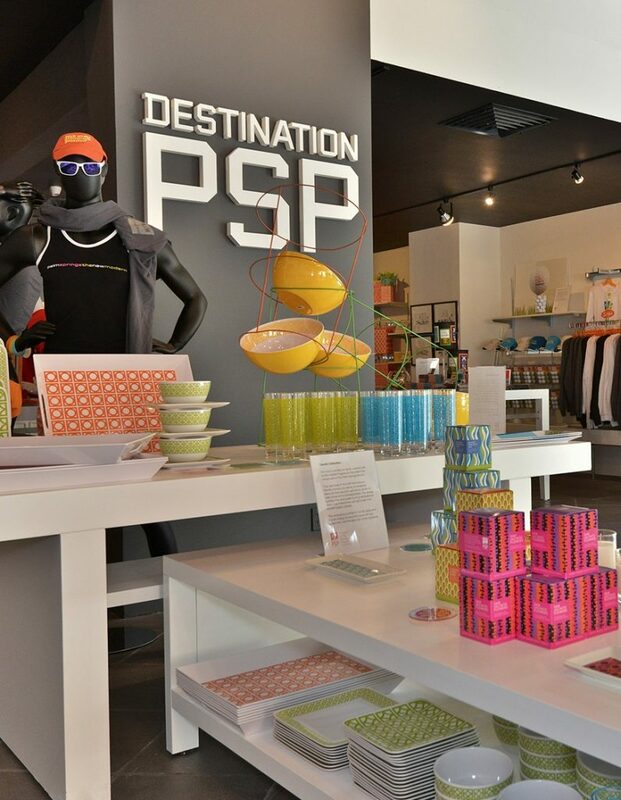 Named after the delightful open-air Palm Springs airport, Destination PSP offers unique, originally-designed products including mid-mod clothing, home décor, souvenirs, and more. 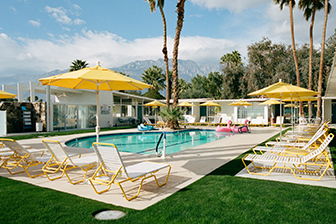 Partnering with local businesses and charities, Destination PSP makes custom products for events like Modernism Week and the Palm Springs International Film Festival. 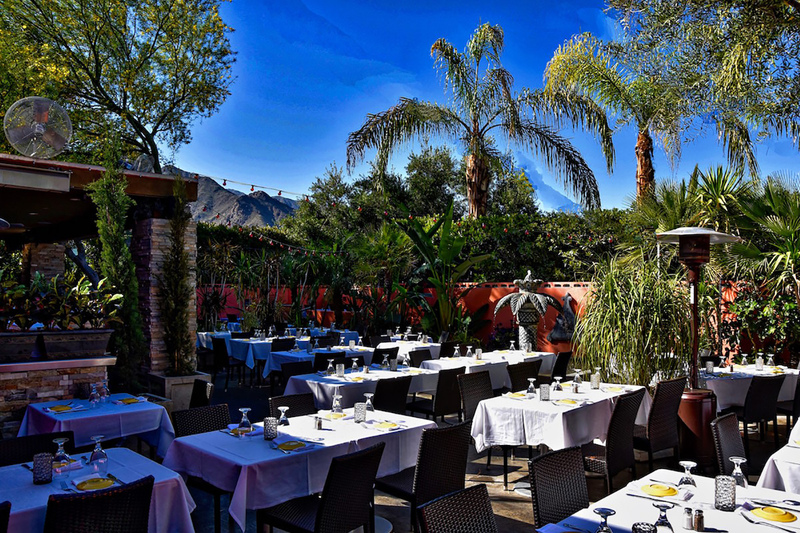 Located in part of Cary Grant’s former estate, the outdoor courtyard area of Copley’s provides the perfect atmosphere for a relaxing yet upscale dinner. Surrounded by mountains, Copley’s puts a tropical and European twist on American fine dining for a menu as impressive as their atmosphere. 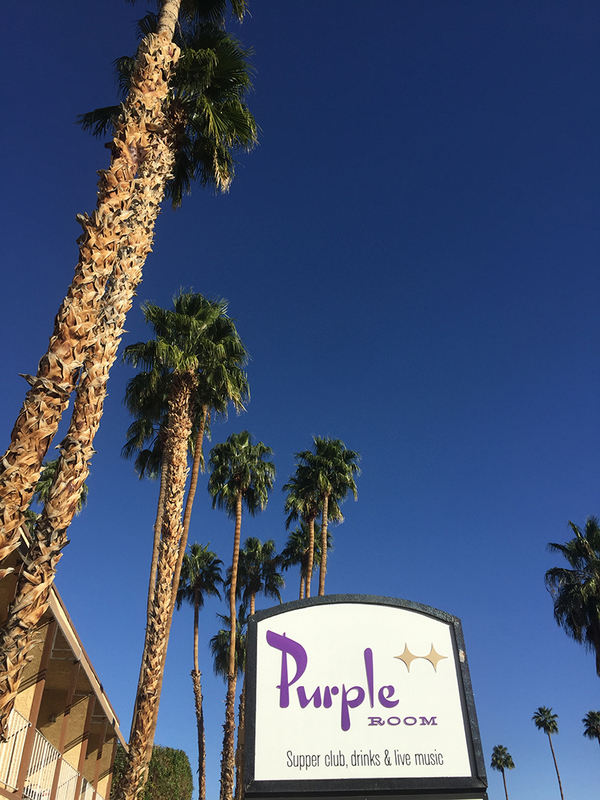 Once frequented by the Rat Pack, The Purple Room is still a traditional supper club serving up entertainment and food that can’t be missed. Acts vary from classic jazz and lounge music to the hilarious Judy Show starring Michael himself in a parody of the 1964 Judy Garland show. The neon sign and pink facade of Tropicale is just a hint of what’s to come. Start your meal with a martini then peruse the Pacific Rim-inspired menu, offering something for every taste. Whether dining in the lush tropical outdoor courtyard or the perfectly plush interior, you’ll feel part of a by-gone era! Did you know that Palm Springs has three great tiki bars in town? Each offering something different, make sure to stop by one (or all) during your visit! Bootlegger Tiki offers incredible craft cocktails. Tonga Hut Palm Springs is a classic tiki bar with a fun “secret room” and fantastic atmosphere. 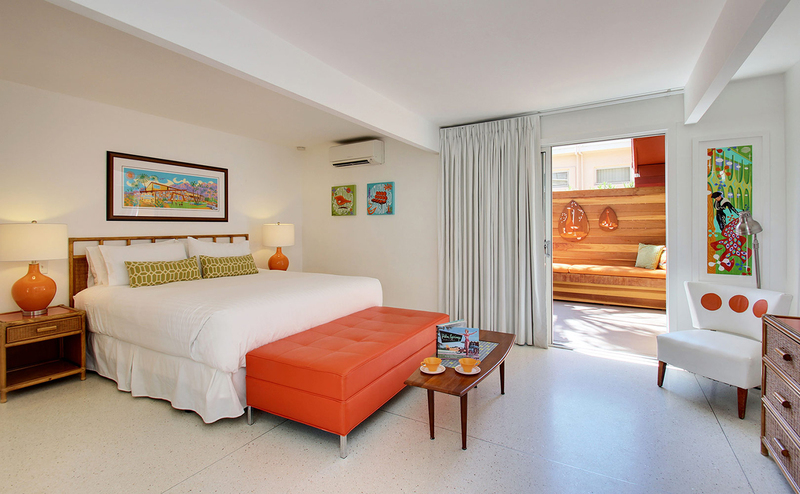 Offering a tropical getaway with delicious food and drink, The Reef is located in the Caliente Tropics Resort—a Polynesian-themed hotel built in 1964 with an impressive A-frame exterior. Cheers!